President Joko “Jokowi” Widodo met with King Salman bin Abdulaziz Al Saud of Saudi Arabia for a second time on Thursday. The two leaders arrived at Istiqlal Mosque in Central Jakarta at 2:20 p.m. They performed a tahiyatul masjid prayer as soon as they arrived at the Southeast Asia’s biggest mosque. A tahiyatul masjid prayer is a symbolic gesture of respect toward a mosque. The 81-year-old monarch performed the prayer sitting in a chair. Jokowi prayed standing up. 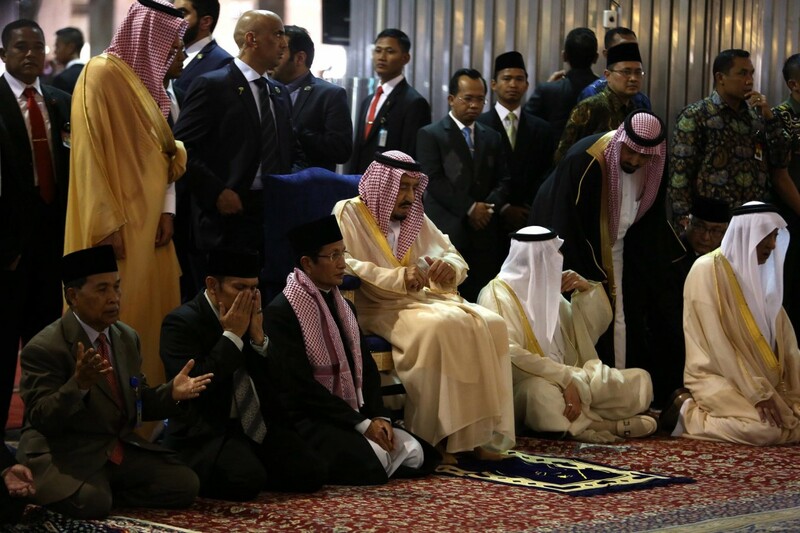 Jokowi then took the king for a tour of the mosque, explaining the history of it. The two leaders spent around 30 minutes at the mosque before heading to the State Palace in Jakarta. Earlier on Thursday, King Salman delivered a short speech at the House of Representatives before traveling to Istiqlal Mosque.